In 2012, after a great success in Japan in 1997 with his company “The Tango and TheDance”, after directing the company "Forever Tango" in San Francisco for one year and after touring with "Tango Pasión” for two years through USA, Europe and Asia; Master Ríos relaunches The Tango and The Dance. A completely innovative concert regarding the musical, choreographic and vocal concepts in perfect balance with the quality, style and glamour that characterize all the artistic proposals of Master Ríos. “The Tango and The Dance” is only possible with an orchestra of great soloists, the exquisite singer and performer Mariel Dupetit and the dancers, essential in this proposal. The Argentinian Tango Ballet, under the direction of choreographer Gustavo Guerrero, gives rise to a spectacle with sensuality and a refined esthetic conceived for the most prestigious international stages. A repertoire that pays tribute to the greatest composers that Tango will ever have: Gardel, Villoldo, Cobian, Demare, Troilo, Laurenz, Stamponi, Salgan, Mores and Piazzolla, as well as pieces of his own creation. 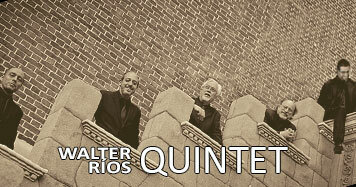 Classic Tango pieces like A Fuego Lento, El Choclo, Tanguera, Responso, Canaro en París, Libertango, Celos and the mythic Adios Nonino, Astor´s Piazzolla masterpiece are rediscovered in this show. 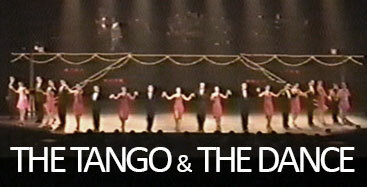 “The Tango and The Dance”: a magnificent and singular show, 30 artists on stage with a visual and musical language that will reach the audience!